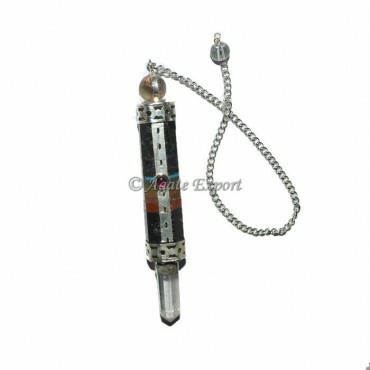 Amazing Black Tourmaline 7 Chakra Bonded Pendulum only at Agate Export. Black Tourmaline is giving the connection between Earth and humans spirit. Chakra is giving the healing of body. This amazing combination is give the best Spiritual Healing for body and mind. Place the order today.